"These results have the power to significantly alter trauma resuscitation, and their importance to the trauma community cannot be overstated," co-lead study author Dr. Jason Sperry said in a university news release. He is a professor in the departments of surgery and critical care medicine. The patients were transported by medical helicopter to nine U.S. trauma centers. Most were injured in incidents such as vehicle crashes or high falls. Plasma -- a liquid that helps blood clot -- is separated from red blood cells and platelets by blood banks. It can last up to a year when frozen, the study authors noted. Some patients received two units of plasma in the helicopter, while others did not. After 30 days, about 77 percent of patients who received plasma in the helicopter were still alive, compared with 67 percent of those who did not receive plasma. The plasma recipients also had lower 24-hour and in-hospital death rates, the investigators found. The patients who received the plasma had faster blood clotting and less need for blood transfusions, according to the study. Study co-lead author Dr. Francis Guyette said that giving plasma during air transport could help reach trauma care goals set by the National Academies of Sciences, Engineering and Medicine in 2016. 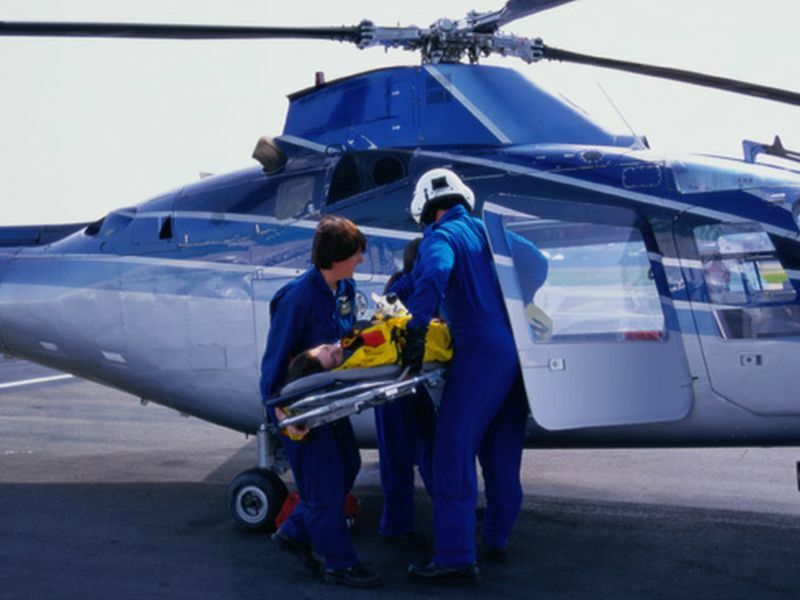 The academies "proposed a national trauma care system that integrates military and civilian trauma systems to achieve zero preventable deaths after injury," said Guyette, an associate professor in emergency medicine. The study findings were published July 25 in the New England Journal of Medicine.